I was raised in a household with a Jewish father and a non-Jewish mother. In the past, this arrangement would have been rare and suspect among American Jewry, but times have changed. According to the landmark National Jewish Population Survey of 2001 helpfully summarized by Liza Katz in her About.com article on Jewish intermarriage, the incidence of interfaith households in the Jewish community has risen nearly 400% over the last thirty years in the States. Whereas roughly one out of every ten Jews got married and raised a family with a non-Jewish spouse when my father was growing up, about half of all Jews make this decision today in America. See, Hanukkah is actually a pretty minor holiday by rabbinical standards. In fact, it is the proximity of Hanukkah to Christmas that has yielded a greater degree of attention in contemporary society to the festival than has been the case in the past. 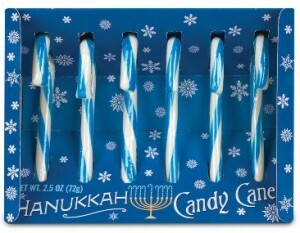 Nowadays, you can actually purchase books like Daniel Novack’s My Two Holidays: A Hanukkah and Christmas Story, pick up a “Hanukkah tree topper” for your…er…Hanukkah bush, and satisfy your sweet tooth with blue and white, Hanukkah-themed candy canes from the comfort of your web browser today. That’s how much cultural amalgamation has occurred due to the secularization of the Jewish community when it comes to this holiday. Consequently, my family did not do the greatest job celebrating Hanukkah when I was growing up. We put forth a valiant effort, but we basically grabbed a bunch of different sources and mushed them altogether to form our own celebration that bore only a vague resemblance to the real thing. But, man, am I ever grateful for this. 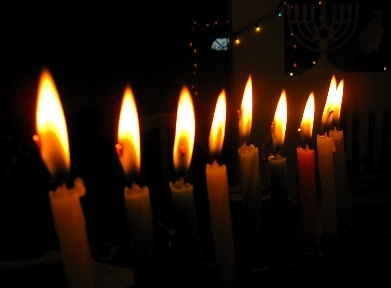 Even this halting, not exactly kosher way of celebrating the holiday helped to keep that little Hanukkah flame lit in my heart, and when I approached adulthood, I decided to take an honest crack at observing the holiday in closer harmony with what scripture and Jewish tradition have to say about it as a result. I’ll never forget the first time I celebrated all eight nights of Hanukkah. I was dirt poor, living in Uptown, Chicago. My experience lacked virtually every single trapping typically associated with the holiday–no siddur, no menorah, no dreidel, no supportive community of fellow Jews, no gelt or latkes or anything. I looked all the prayers up online and printed them off so I could recite them without distraction. I fashioned my own menorah from cardboard and tea lights, and I celebrated the entire holiday in quiet solitude with God. It was the single most spiritually moving thing I did that year. I wept every time I lit those candles and stumbled through those prayers. When you’re doing Hanukkah right, night falls partway through the process. So, the only thing illuminating my flat were tiny flames dancing above a couple globs of liquid paraffin, reminding me of how precious God’s provision had been for the Jewish people as they struggled with a return from exile and a perpetual threat of annihilation, when the Lord worked a miracle between the silence of the prophets and the birth of my Messiah. 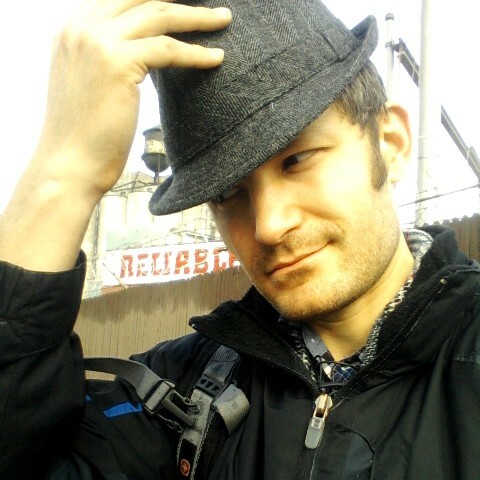 It was as if the bits and pieces of my identity as a fractionally Jewish follower of Jesus were being knit together again every evening that I prayed those prayers, as if the Jewishness and the Jesus-ness of my spirit that my family had neglected until my father’s generation were finally beginning to grow again after decades of atrophy. Although I knew the gist of the story of Hanukkah before then, I had never read the passages in the apocrypha like 1 Maccabees 4 that described the events upon which the holiday is based. 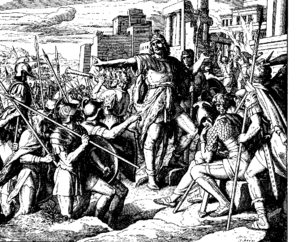 I knew that about 150 years before Jesus was born, the Jewish people lead by Judah Maccabee had ousted a powerful group of invaders lead by Antiochus IV, a Seleucid ruler who sacked Jerusalem, erected an altar to Zeus right smack in the middle of the temple, banned circumcision, and ordered ritually unclean animals like pigs to be sacrificed in the temple on the altar he built according to the Jewish historian, Josephus. But I did not realize that it was the Talmud–a collection of rabbinic discussions about Jewish law, ethics, philosophy, customs, and history forming the doctrinal foundation of mainstream Judaism–that described the specific miracle most Jews associate with Hanukkah today, i.e. God’s enabling the temple’s lamp stand to burn for longer than it should have given the shortage of oil in those days after the Jews purified and rededicated the temple to the Lord following the expulsion of the Seleucid invaders. Now, I got to learn about all that stuff on the very days in the Jewish calendar when they occurred, recovering and reinforcing their memory while praying the same prayers Jews all over the world recite to remind themselves of God’s protection and provision in times of trouble. 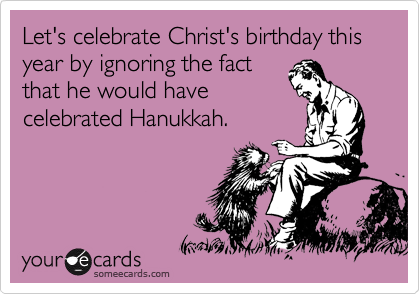 I already knew that Jesus celebrated various biblical festivals mentioned in the Old Testament, but Hanukkah occurred after the codification of the first covenant’s canon. Consequently, I did not know that John 10 specifically records Christ’s celebration of Hanukkah, calling it “the Feast of Dedication” in most English translations of the Bible. As a result, I had completely missed the significance of many of the specific claims of scripture in their historical and cultural context orbiting this holiday. For example, Jesus shares a debate with some other Jewish teachers during the festival at a particular area of the temple called Solomon’s Porch or Solomon’s Colonnade. This was not built by Solomon during the days of the first temple roughly 950 years before Jesus walked the earth. Instead, this structure was most likely developed as an expansion of the second temple built by the Jews after they returned from exile, i.e. a part of the temple whose dedication back in the days of Judah Maccabee was the basis of the celebration of the Festival of Lights in the first place. Tetradrachm of Antiochus IV. Reverse side pictured on the right includes the Greek inscription, "ΒΑΣΙΛΕΩΣ ΑΝΤΙΟΧΟΥ ΘΕΟΥ ΕΠΙΦΑΝΟΥ ΝΙΚΗΦΟΡΟΥ," which translates to "Basileus Antiochus, God Manifest, Bearer of Victory." Retrieved from wikipedia. And since that festival specifically commemorated the ousting of Antiochus IV, it was not until I learned a bit more about the guy that I understood how brazen Jesus’s words in John 10 must have seemed. Not only was Antiochus IV a pretty bad dude in general, he was so self-absorbed that he broke with his own culture’s traditions to apply the term “Epiphanes” (Gk. “God made manifest”) to himself. The guy was so crazy that some of his contemporaries lampooned his assertions of divinity with their own play-on-words nickname, “Epimanes” (Gk. “the mad one”). So, when Jesus says that he and the Father “are one” in John 10:22-33 while accepting the title of Messiah, a Hebrew term meaning “the anointed one” of God, he was doing that at the exact time of the year when Jews celebrate the ousting of Antiochus IV–a murderous invader who made the same sorts of claims to divinity. That’s why the other Jews accuse Jesus of blasphemy, of which he would have absolutely been guilty unless he was actually telling the truth. That’s why everybody got so upset that they tried to literally stone Jesus to death. Similarly, when Jesus claims in John 10:34-36 that God the Father had sanctified (i.e. dedicated and made holy and set apart) him and sent him into the world, Christ was drawing a parallel between himself and the very temple upon which he was standing during the specific holiday commemorating that temple’s purification and rededication by the Jewish people. It was like Jesus was saying, “I am the true, Divine Sovereign this Antiochus IV charlatan falsely claimed to be. In my own body, I am making God known to you because the Father and I are One, and he has set me apart and dedicated me just as our ancestors did to this temple, whose glory will inevitably fade now that the real thing is standing right here before you.” No wonder everybody tripped out at Jesus’s words; my own mind is still blown by all of this. I can no longer read passages about Jesus being the light of the world all over the rest of the gospel according to John–such as John 1:1-18, John 3:16-21, John 8:12, and John 9:5—without thinking of Hanukkah. It finally clicked for me a few years ago how all this stuff was not just a useful metaphor about Jesus’s activity or being in general but a hint towards a specific, mystical union of concrete reality and symbol running through Israel’s history and scripture right up to Jesus’s birth, life, ministry, death, resurrection, and ascension to heaven. All this was just one more example of how God’s method of protection and love for the Jewish people was a shadow and a sign of the full reality demonstrated in Messiah as Hebrews 10:1-18 puts it, of how Jesus is the telos–i.e. the consummation or the appointed fulfillment–of the Mosaic Law as Romans 10:4 describes the matter. Jesus was not just celebrating Hanukkah in John 10, he was illustrating his fulfillment of it. And one of the best ways to let these truths structure my life, to let them truly sink in and form the basis of the way I live in the day to day, is to continue to celebrate them each year during the Festival of Lights, just as Christ and his disciples did but also with the knowledge of Jesus’s fulfillment of the holiday in his person. 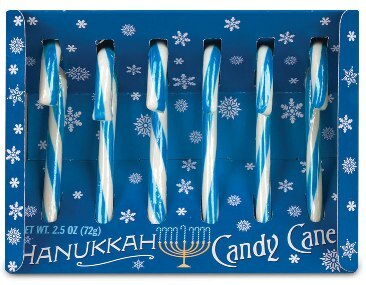 Thankfully, American culture hasn’t found a way to really leverage Hanukkah for much commercial gain at present. And this means that we don’t have to put up with wave upon wave of Hanukkah-based advertisements, initially endearing but utterly irritating songs on Lite FM, snarky allegations of the pagan underpinnings of the holiday, or kvetching by people distraught about how God has been stripped out of Hanukkah by all those secularists whom we few and faithful must combat for Judah Maccabee’s sake or something. Even if you don’t posses a Jewish background, there is this awesome, ninja-like move you can make by celebrating Hanukkah if you want to transcend and in a sense redeem the cultural baggage surrounding the Christmas season thanks to the ways the dates usually work out each year. Do you have any idea how freaking cool it is to be able to celebrate Advent throughout the whole month of December, then drop some Hanukkah action right in the middle of it for a whole week? And when things really line up like they will this year, you might even get to celebrate Christmas Eve and Christmas Day right in the middle of Hanukkah. It’s like circles within circles, man… And nothing eclipses concerns about the commercialization of or pagan elements running through Christmas quite like throwing down some Judaica, with traditions and prayers and ways of thanking and worshiping God that predate Jesus’s birth by over a century comprising a holiday that he himself celebrated–during the specific part of the year and in many of the particular ways that he and his followers celebrated it. (You know, unlike Christmas, which I also love.) 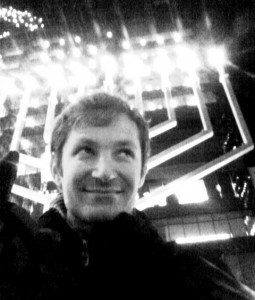 And if you do possess a Jewish background, I probably don’t have to explain to you how great it is to dig deeper into the roots of this holiday rather than let goofy tchotchke on Amazon.com or Stephen Colbert vs. John Stewart’s “Can I Interest You in Hanukkah?” define your experience. This is what Hanukkah means to Jewish followers of Jesus like me. We are people whom God has miraculously preserved despite our lack of merit and mutt-like pedigree by calling us to himself through the light of Jesus and making us whole again–not just with a growth of integrity in our identity as followers of our Jewish Messiah but as a categorically new people unified with our non-Jewish brothers and sisters through our Savior’s body, as Ephesians 2 puts it. Hanukkah is one of the reasons why I continue to work for that unification to this day, one of the ways I try to follow Jesus’s example by presenting my own body as a “living sacrifice” to God as Romans 12:1-2 puts it rather than go my own way as did generations of my father’s side of the family in their bit-by-bit abandonment of their traditions and relationship with the Living Lord of All. There are few things that are so simultaneously humbling and yet motivating, so challenging and yet rewarding. Read up on your Hanukkah basics – I mentioned most of this already, but a good place to start is 1 Maccabees 4, section 34 of the first chapter of Josephus’ Jewish Wars, and the story of Hanukkah summarized by wikipedia or Judaism 101. Explore Jesus’s celebration of the holiday – Just check out John 10:22-42 and scope out this article by Gordon Franz on the topic. Join some other folks celebrating the festival – If you’re in the Chicago area, feel free to connect with the posse meeting at my place by checking out the open facebook event. If that’s not possible, consider visiting one of the Messianic Jewish congregations or ministries all over the world, such as those listed on the UMJC’s database or the IAMCS’s database. Hook yourself up with some Hanukkah gear and prayer resources – Maybe you want to take a crack at this Hanukkah stuff on your own, much as I did several years ago. The key prayers before you light the candles are listed here, and the prayer after you light the candles is here. If you don’t want to slap together your own hick accouterments like I did back in the day, you can pick up a legit menorah and some candles with expedited shipping from Amazon.com just in time for Tuesday night. Plus, that Judaism 101 link mentioned above includes a number of songs and recipes and games traditionally associated with Hanukkah. 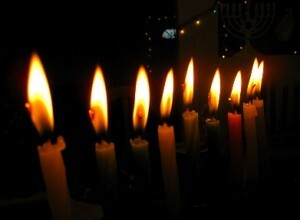 Take your time – Hanukkah provides a great opportunity to put the breaks on busyness and re-calibrate your focus on God. Don’t rush your observance of the holiday; carve out the time to let the Lord work in and through your heart as you explore this way of celebrating God’s protection and provision in this place and time, just as God did in days of old at this season.